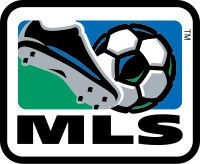 By Michael Lewis – PHILADELPHIA, PA (Aug 12, 2011) — If you think Major League Soccer will be satisfied with only reaching its goal to expanding to 20 teams, then guess again. The league wants to become a leading American sport and one of the best leagues in the world by 2022. You don't believe that statement? I'll repeat it: MLS has a goal of becoming a top-flight global soccer league in 11 years. "We're operating now with a clear vision in mind. the vision that has been articulated by our board is that by 2022 soccer is to be a pre-eminent sport in North America and MLS is to be among the best leagues," MLS executive vice president Nelson Rodriguez said on Thursday morning. Rodriguez, who is EVP of competition and game operations, and Todd Durbin, executive vice president of competition and player relations, have been charged by the League's board of directors – its owners – to flesh out what has to be done to accomplish that audacious and lofty goal. It's an ambitious project for a League that is only in its 16th season. "We are in a place that we haven't been in," Durbin said. "We really are primed now to take the next step in terms of our growth and our development. What we have been tasked with, both Nelson and I from the ownership group, take a step back, look at where we are as a business and help with the owners, take us to the next level, and to be a bit bold in terms of our thinking and the way in which we approach it. "It is our investors' goal to be among the best leagues in the world. They’re not in this to be a second-tier league. They're in this because they believe it's the best sport in the world and they truly believe that this country and Canada can have the best, or among the best soccer leagues in the world. That's what they’re looking for us to do. They are looking to Nelson and I to create the road map to help us get there." Of course, that's easier said than done. But then again, MLS's dynamic VP duo will take their time in assessing the risks and other factors and forging the proper plans. "We're working backwards from that vision," Rodriguez said. "What does that vision mean for us on a daily basis? We have to articulate what does it mean to be among the best leagues in the world. We put up markers against that. How we're going to achieve those markers in the ensuing time frame that we have. Ultimately what Todd and I talk about every day, think about every day, we want to be the league of choice. "We want to be a league of choice for fans. we want to be a league of choice for players, for coaches, administrators, for broadcasters, for groundskeepers, for stadium developers. We want to be a league of choice. We want to be a place where people want to be part of." Rodriguez and Durbin have just begun to put that road map together. Some of what they said on Thursday will remain the same, other parts will change, depending on the circumstances, new ideas, road blocks, and of course, money. There's also the commitment from elite players to trust MLS with their futures. "The best players are going to view our league as a place where they want to pursue their careers," Durbin said. "That means from top to bottom in the organization that we are among the best in the world. In some areas that's going to be an easier lift than others. We're well on our way with regards to facilities. There’s no reason why we can't achieve that in regard to the infrastructure we have in place – with the knowledge that we have in place, With regards to actual players in the field, we're still a bit back with the top leagues in terms of expenditures. We have to find ways that may not be simple as a straight line in terms of dollar spent." To appreciate what the League wants to accomplish in the future, you have to look at where it has been. Where it's been is on a rollercoaster ride at times. When the United States was awarded the 1994 World Cup, FIFA made it a stipulation that a First Division be created as its legacy. Two years after USA 1994, MLS kicked off a year late and amidst predictions it was going to be a one-year wonder. The League started out with 10 teams, grew to 12 by 1998. They were back at 10 when the Miami Fusion and Tampa Bay Mutiny were contracted in 2002. Those were dark days for MLS, with a failed league-owned team and a failed expansion club. Ten years later, MLS will welcome its 19th team, the Montreal Impact, in 2012, with hopes of adding #20 in 2013. On Wednesday, the league announced a historic, three-year deal with NBC, which will give MLS a much higher profile on television. Again, this is a return of sorts to where the League was prior to 2002 when they had national television coverage on ABC. The vision and Rodriguez and Durbin talked about went beyond the NBC deal. On Thursday morning, some 11 hours after the U.S.'s 1-1 draw with Mexico here, both executive vice presidents were made available to the media. Only two members of the fourth estate attended. They discussed a number of factors that will be needed to bring the League to a much higher orbit and profile, from the competition side, from the league schedule, and player free agency, among other topics. Of course, it always comes down to money. To get the best players in the world, you have to pay them. "The world economics of the game changed," Rodriguez said. "When our league started, economically, we could pay could pay Marco Etcheverry what everybody else in the world was paying. And then if you look at what happened with television, particularly in Europe and the infusion of money where their cost structures radically changed by multiples, while ours remained very constant." Getting the best players in the world will always be a priority, but developing home grown talent also will be vital. If teams go the route of developing the best players via Homegrown Player rule, the purpose of the draft will change. There will be players who still go to college and there will be late bloomers. "If we're going to be diluting the college draft because players are coming through the home grown player system as opposed to the college draft, what are ways that we can continue to make it (the draft) an important and meaningful event?" This past January the League brought in six young foreign players to the combine. The New York Red Bulls selected midfielder John Rooney, the younger brother of English international and Manchester United star striker Wayne Rooney in the MLS SuperDraft. "We're at a price point where in terms where we're spending in terms of those young players, we're spending not an exorbitant amount," Durbin said. "We're spending $50,000 and $125,000 a year on salaries. There are a lot of players in South America, Central America, across Europe 18- and 19-years- old, who want to take a shot the same way with our young players here. So what you're going to be see is that college soccer is always going to be important. There is always going to be a need for the draft. But I do see a situation where we begin to layer it with more and more international players into that process of continuing to seed the league with up and coming young players." Durbin added that he didn't think there will be player movement within the league via free agency. "I don't think so," he said. "I don't foresee a structure that is going to change." For the longest time, the length of the season, the exact standings, fixture congestion and whether to play a similar calendar to that of the top Euro leagues have been debated by the fans and media. "Everything's on the table, from a single table to a conference league to a geography-based schedule… more games, less games, all on the table. footprint, on the table," Rodriguez said. "We have to look at it all. We have to make a short term decision for 2012, for 2013, perhaps. But we have to take a longer view." Rodriguez added, "We want to move away from playing on FIFA fixture dates. What does that mean to the schedule? We have the Gold Cup, which every other year is in the middle of our year. We have the World Cup, which is every four years, which is in middle of our year." When the US lost to Mexico in this year's Gold Cup final at the Rose Bowl on June 25th, six MLS matches were played that Saturday. As it turned out, the league and team were not hurt in attendance. "It's funny because it cuts both ways," Rodriguez said. "On one hand, we try hard to be authentic and respect and honor the world's game. At the same time, historically, this is '98, '02, '06 and '10 [World Cups], there's no material impact to our economics on playing on or through World Cups, Gold Cups, qualifiers, which is remarkable. What is the impact of quality to the teams (on the field)? On the other hand, away from the game itself, no negative material impact." In case you were wondering, SuperLiga, the competition that pit MLS and Mexican club sides was "not coming back," Rodriguez said. Earlier this year, MLS helped Real Salt Lake and the Columbus Crew with some of their expenses while competing in the CONCACAF Champions League quarterfinals. The League provided additional allocation fees to both teams so they could remain competitive in that league. The league also picked up 50% of the costs so that RSL could take a charter flight in the later rounds. "The biggest thing that we've done was to provide additional allocation fees," Durbin said. "In the past we had been reluctant to do that because of the potential competitive impact. They (the owners) get it. The teams that are in it this year, those that advance to the quarterfinals will get additional allocation money. We're already in our budget year. We just made this change…. We'll see how it goes to see if we expand it even further. It also provides some benefit above and beyond League play. "Real Salt Lake was able to keep their roster together and actually improve it. Whenever you have a successful team, they are under pressure to keep it together. That was a very significant, philosophical step by our owners recognizing that its important for us. It's important for your brand. It's important for our business." Durbin said that putting competitive teams into the knockout stage of the Champions League is a priority. "It was a significant step with Real Salt Lake this year," he added. "Fifteen years ago it wasn't even a debate. The Mexican league was here and the other leagues in CONCACAF were a step behind. You can't say that today. You can't say that about our league as it relates to Mexico. We are right there, running side by side with them. It's going to be a very interesting three to five years in terms of where we're going." Compared to when MLS began in 1996, there is much different landscape and environment today. Back then, there seemed to be naysayers about the game and cynics on every corner. "When I started in 1995, the sport struggled for credibility," Durbin said. "There were a lot of people in this country that either didn't think this sport could succeed, but really had made a value judgment about the sport and sort of had written it off as something that was uninteresting, boring, that it could never make it in this country. That discussion is over. You have 20 million people watching the World Cup final. We see the coverage soccer has one ESPN, soon to be on NBC. We have three or four channels dedicated to soccer. It's just a different dynamic that was in play when I started." Just who are Rodriguez and Durbin? They are two, sharp men who have been with the League since its birth. They have experienced the highs and the lows. They know what works, what needs changing, what needs tweaking. They also realize that what they want – what owners wants, what the fans and media want – doesn't necessarily happen overnight. It takes time. They could very well have one opportunity to get it right, so a lot of thinking, talking and planning will go into the project. They might be in charge of two different departments, but they work closely together. "We don't think of it having two distinct silos," Durbin said. "It's more of a focus. My focus is how our teams compete off the field and Nelson s focus is how they compete on the field. The reality is that its impossible to divorce the two. So it's important for Nelson's technical view of the game to look a little bit different and that obviously flows into our player acquisition strategy. "It's important for us to have certain players play certain styles that flows into the way the game is played on the field. It's really hard to have a clear demarcation between where my responsibilities start and end and where Nelson starts. It's so much crossover that… we laugh that we're now getting to the point that we can actually finish each other's sentences." Then Rodriguez quipped, "He completes me." While they will forge some bold ideas – some they might want to talk about publicly, others they might want to keep to themselves – Durbin and Rodriguez most likely will take it slowly, step-by incremental step to achieve that ultimate goal by 2022. "One thing we are focused on is how we take the League to the next level," Durbin said. "There has been so much great work done over the last 15, 16 years. I really believe that we are in a unique time in respect to the League." Call it whatever you want — a tipping point, a turning point, a giant boost, or another lift-off. Simply put, MLS is primed to go where no other North American soccer league has gone before. Michael Lewis, the editor of BigAppleSoccer.com and TropiGol.com, can be reached at SoccerWriter516.com.